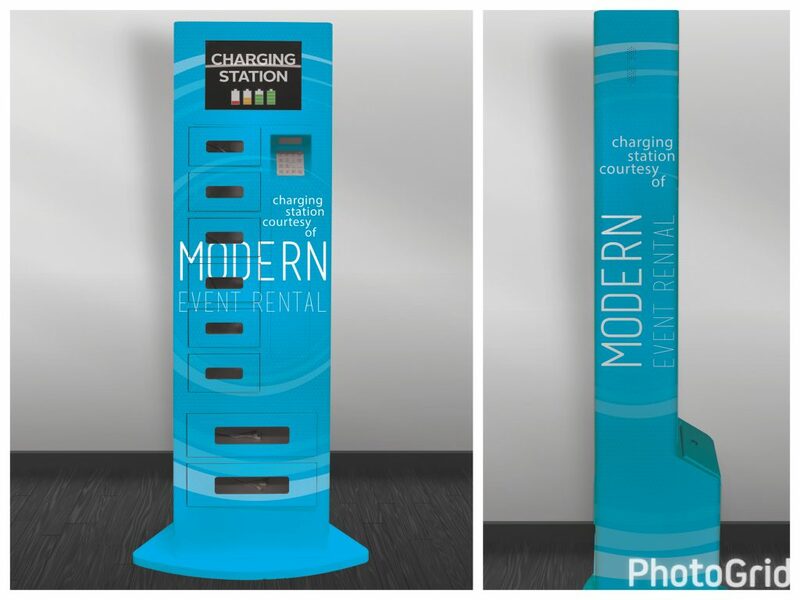 Modern Event Rental’s cell phone charging stations are the perfect charging solution for your next trade show, meeting, or convention. They also provide brand awareness, as we offer custom branding for each station, allowing you to reach a wider audience and attract attendees. 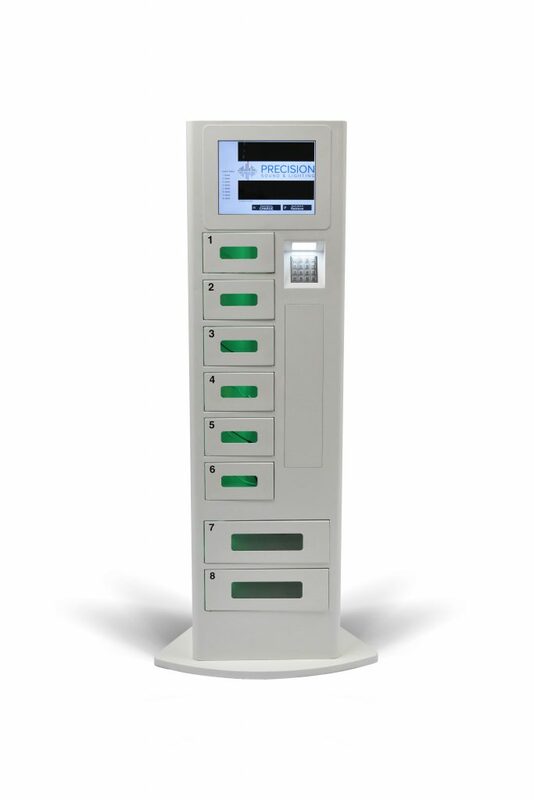 With 6 cell phone charging lockers per station, our charging stations allow guests to quickly, conveniently, and securely charge their phones, tablets, and other devices – without having to leave your event. 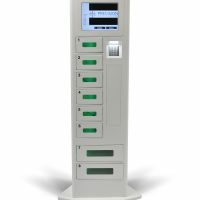 Our charging stations are secure, with a touch screen and 4 digit code that is entered to unlock them and retrieve your device. Each station contains 4 charging lockers for iPhones and 2 charging lockers for tablets. Each individual locker contains a variety of charging cables for all types of devices. 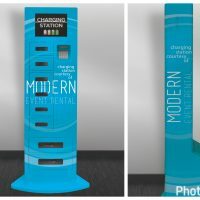 For a custom branding solution that will drive event engagement, consider cell phone charging station rentals from Modern Event Rental!